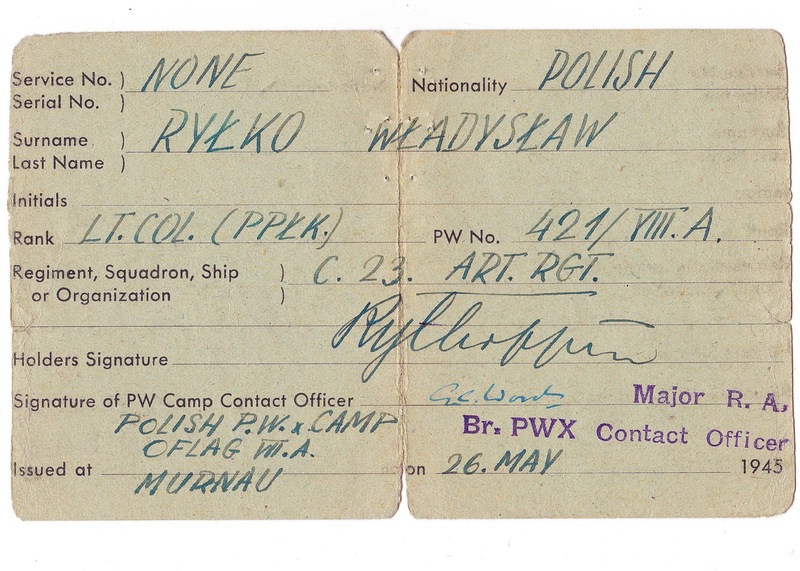 My father was a career military officer who enlisted as a young man at the start of World War I. 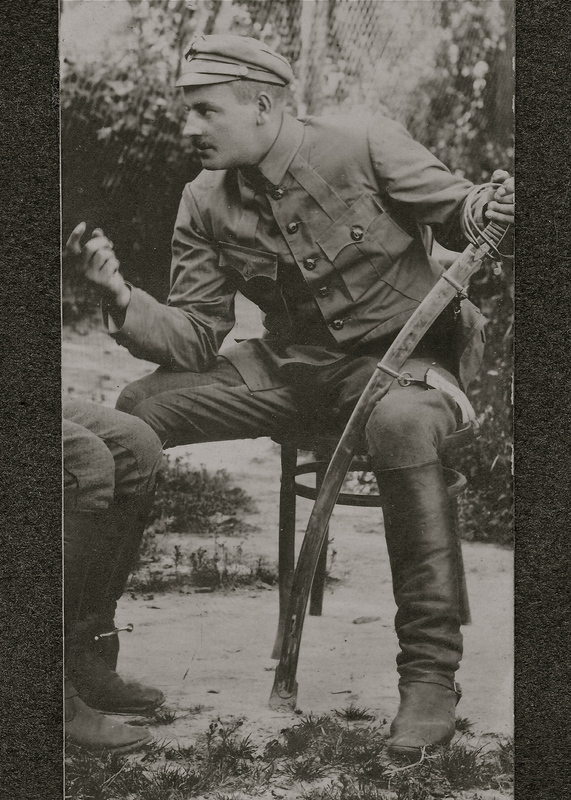 After finishing his officer’s training in 1918, he joined the artillery and fought in the Polish-Soviet war of 1919-1920. He was promoted to colonel on the eve of World War II, although this rank was not formally acknowledged until after the war. 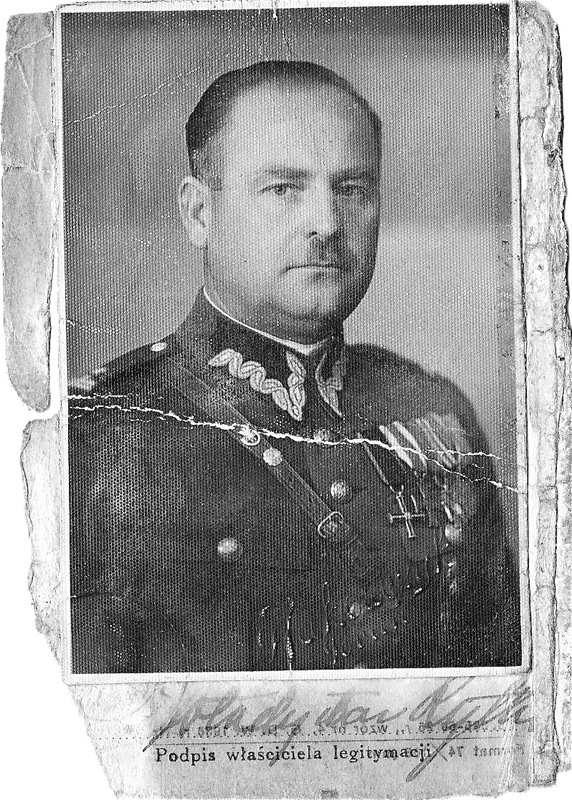 He was captured in late September 1939 and spent the rest of the war in a German POW camp, Oflag VIIA, Murnau. Soon after the war’s end, he was hired by the U.S. military government in Germany. 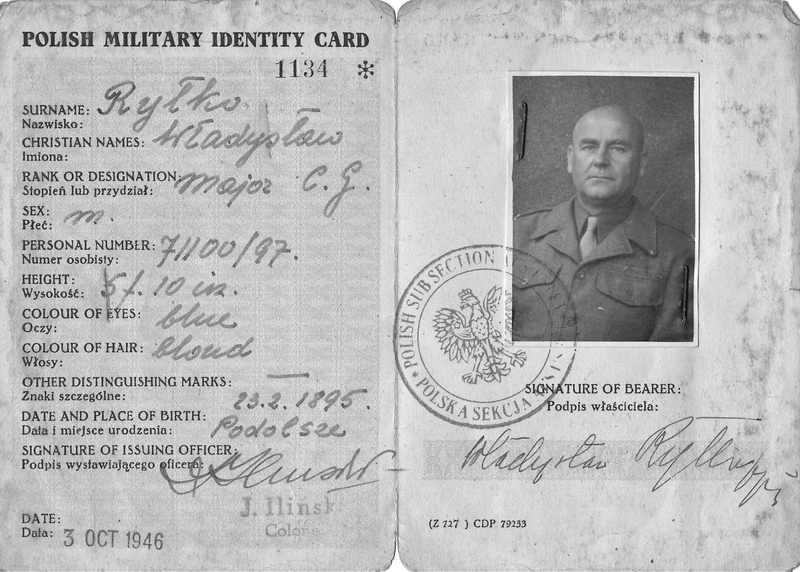 With his English language skills, he served various liaison roles between the Americans and the Polish refugees who worked for them as Civilian Guards, until the time when we emigrated from Germany. 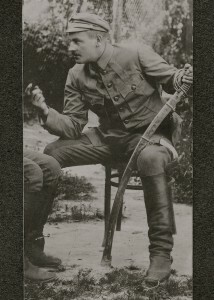 (259) 2nd Lt. Władysław Ryłko during the Polish-Soviet war (Pinsk, 1919). 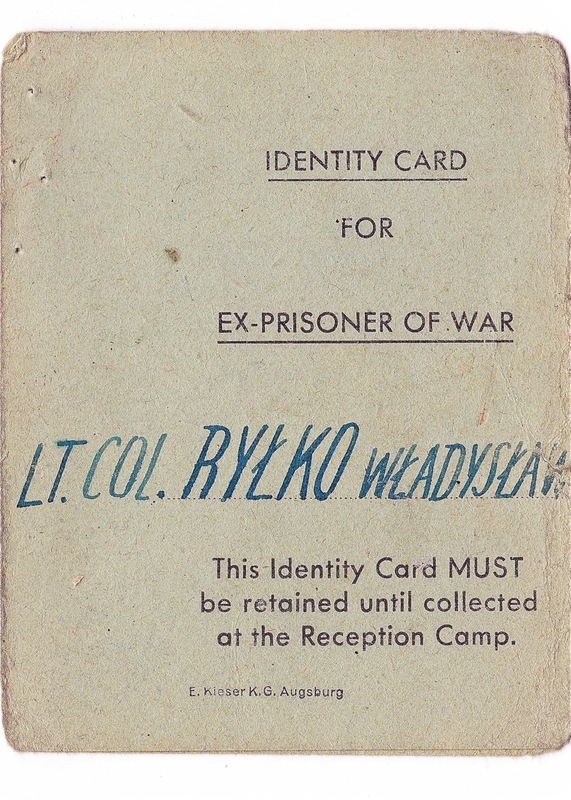 (261, 275) First ex-POW ID card issued by the U.S. Military (May 26, 1945). 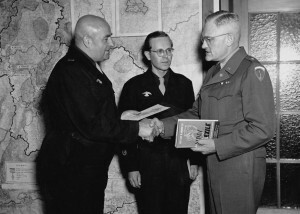 (276) “Guard Major Wladyslaw Rylko, Deputy Liaison Director of the Polish Labor Service Companies, EUCOM, presents a copy of the book, “An Army in Exile,” to Brigadier General Williston B. Palmer, Acting Chief of Staff, EUCOM” (Official text from back of photo, Heidelberg, 1949). 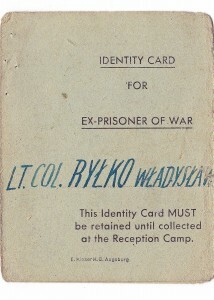 Wladyslaw Rylko presenting book to Brig. 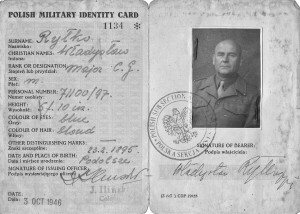 Gen. Palmer: U. S. Army photograph, Corp. Probasco, photographer. 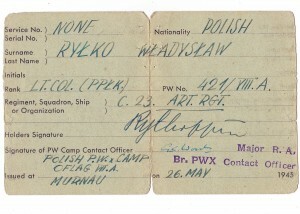 Rylko-Bauer family archive and public domain.